The Table team is made up of a group of freelance creatives. When we have meetings they’re more often than not taking place in a local cafe. There’s nothing more that we appreciate more than delicious coffee served by lovely staff in a cozy atmosphere. We’ve compiled a list of some of our favourite cafes around the world that are all staff approved! We’ve featured this cafe before on our Instagram but we thought it worth another mention. Ost Cafe is located on a busy corner in the East Village. Airy and spacious you leave the buzz of the city behind you as you step through it’s doors. You can usually find a table or a seat at the bar while you sip on a coffee or snack on a croissant. In the summer the large floor to ceiling windows open up onto the street which is an extra special treat! This is always one our first stops when visiting Dublin. The large expansive cafe has everything you could want in a local cafe. Beautiful cakes and pastries, good coffee and a delicious menu made from fresh produce and wholesome ingredients. If you’re there on a delivery day you’ll be lucky enough to get a sight of all the beautiful produce stacked up alongside the counter as they slowly begin to store it away. Vancouver is full of some beautiful cafes, restaurants and bars but this one stands above the rest. 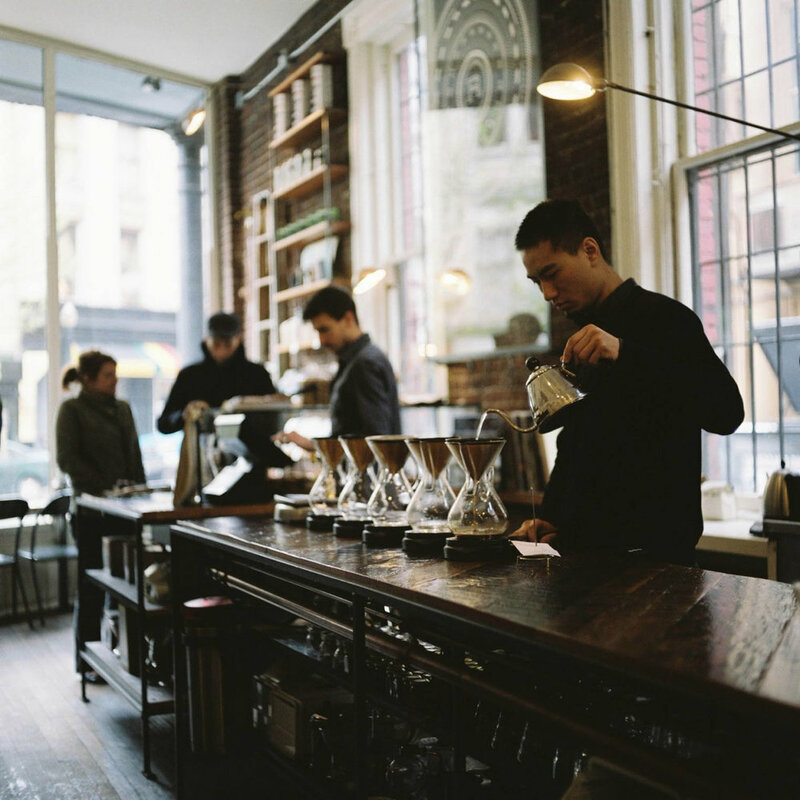 Serving beautifully crafted cups of coffee, it doesn’t get much better than this ethical & fair-trade coffee shop located in Gastown. If you have some extra time there is always a decent selection of magazines to browse. To choose only one cafe to recommend in Amsterdam is an impossible thing. There are many places to recommend, from the heavenly Apple Cake you can get at Winkel 43 to the calming brew of Jasmine Tea at Bocca Coffee. The decor at Toki is minimalist giving centre stage to the stellar coffee and tea they serve. It’s a great place to meet friends, have a meeting or work on your laptop at. I Gigi Cafe is located on the second floor of the homewares store of the same name. It’s a Scandi heaven that is full of treasures. The cafe is small so make sure to go on the early side. While the food is prepared on the counter just to the right of the tables, you couldn’t ask for much better fare. The Best Welsh Rarebit is particularly good! On the weekends this South London cafe will have a queue down the street but if you’re able to head over there during the week, when it’ll be busy but you wont have to wait for a table. The food is tasty and not too complicated. Their coffee is also very good and if you’re feeling extra bold and have a palette for rich foods, their iced coffee is worth a try! A warehouse-turned-cafe that popped up about five years ago is a hub of creativity, from freelancers working on their laptops to the pop-ups that take up residency on an almost weekly basis to the hair salon located on one of the upper floors. There’s a lot to see at Hatch Homerton tucked alongside the Homerton Overground Station.